Featured in the ÖFK-podcast and upcoming XG-justice! Today this blog was more or less the main subject in the ÖFK-podcast. The podcast is in Swedish and wont’t translate the entire episode but just post some plots here that completes my reasoning. The most important one would be the league projections I made a while back saying that Sirius only had a 6% chance of overtaking ÖFK to claim a direct spot to next years Allsvenskan. That number hasn’t changed, at all. So we discussed other things instead after that. Like Two ÖFK-players. 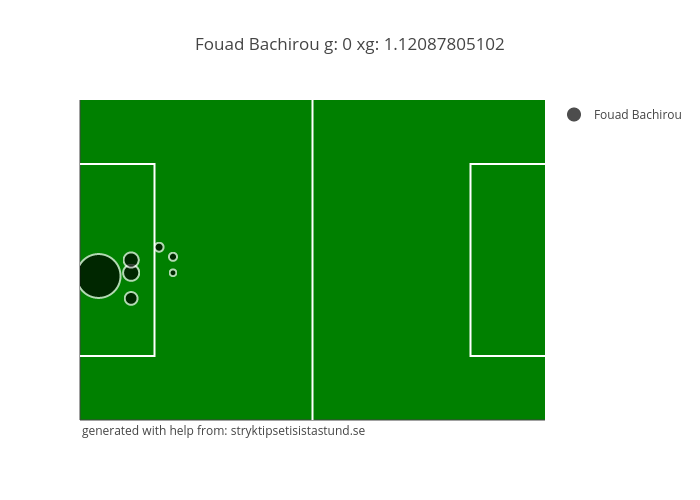 One is Dragan Kapcevic, a Box oriented target player who for some reason this season has been able to score enough out of the box goals to compensate his XG-numbers for underperforming inside the box. Kapcevic goals. The three out-of-the-penalty-area-goals makes the XG numbers acceptable! One was a huge free-kick against Sirius. One of the most important goals scored in Superettan this season. Almost never! However he should have scored at least one goal. We then went on to discuss how fair the current league positions in Superettan is. I argued for the fact that both ÖFK and Sirius, placed 2nd and 3rd actually possibly could deserve more if you look at the goal expectancy both for and against. We all also agreed that both ÖFK and Sirius play a more attractive style of football than leading J-Södra. Now their more counter attack style has proven to be more effective. But, if ÖFK wins tomorrows game they actually all of a sudden gain the lead ahead of the last round. And if you ask me I’d say that it would be totally fair. Leading J-Södra has 38 Expected goals for and they have scored 49! 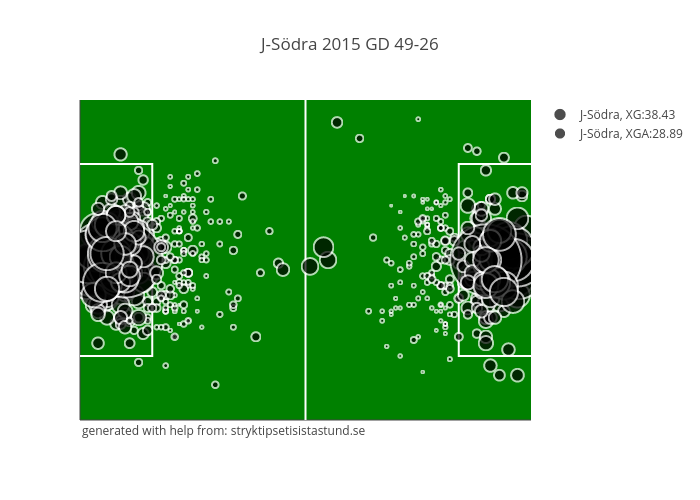 So what we would see if ÖFK at the end overtake J-Södra for the first position would be nothing else than XG-justice!